This Firefly Adventures: Brigands and Browncoats review was made after playing the game six times. Firefly Adventures: Brigands and Browncoats is a cooperative skirmish game in which you are attempting to complete jobs while also dealing with local enemies. Each player gets to take on the role of one or more of the characters from the popular Firefly TV series. Unlike Firefly: The Game, which takes place in space aboard Serenity, all of the missions in Firefly Adventures take place on the ground. Firefly Adventures was designed by Aaron Dill, Andrew Haught, John Kovaleski, and Sean Sweigart, and it is published by Gale Force Nine. When setting up Firefly Adventures, you’ll need to decide whether you want to play a one-off mission or a campaign. If you’re playing a single mission, you’ll get $3,000 for equipment at the beginning of the game. If you’re playing the campaign, you’ll start off with $2,000 and will be able to use money you’ve earned during missions to buy more equipment later. Each job briefing will tell you what you need to accomplish and how much time you have. You might need to rescue someone, or deliver a package, or you might not even know what you’re going after until midway through the mission. Each crew member starts at the beginning of the Timeline and they will move forward as they take actions. The character at the back of the Timeline always takes the next turn, so you might find that you get to take two consecutive turns sometimes. There are also events that pop up every tenth space on the Timeline; the first player to hit each of those spaces rolls a die to see what happens. A crew member can take one or two actions on their turn. Crew members have unique actions and action boosts on their Crew Cards and equipment, each of which takes a specific amount of time to perform. For example, you might want to move Kaylee forward three spots, which takes two moments of time, and then use her gun to shoot a Goon for two more moments of time. Crew members will often have to perform Skill Tests. To do a Skill Test, you simply roll one or more dice (the test shows you how many) and you try to match or exceed the number shown. The Crew Cards and some equipment have Skill Points on them for one or more of the three types of Skill Tests (Fight, Tech, and Negotiate), which can be added to whatever you roll. Most of the time you want your characters to act Casual, but sometimes you have to act Heroic, such as when you want to shoot someone to get them out of your way. There are Heroic actions listed on the Heroic side of each Crew Card, and some of the actions found on equipment require you to act Heroic. When your character is acting Heroic, you’ll replace their Casual miniature with their Heroic miniature. When everyone is acting Casual, the goons will stay in place. When a crew member is acting Heroic, any goon that can see that crew member at the end of their turn will become alerted, will be added to the timeline, and will take the next turn. Shooting and brawling are very simple in this game. If you want to shoot, you’ll count the number of spaces from your character to your enemy, then roll dice and try to meet or exceed that number. When you brawl, you simply roll one die for your character and one for the goon and the higher number wins (both characters are wounded in a tie). 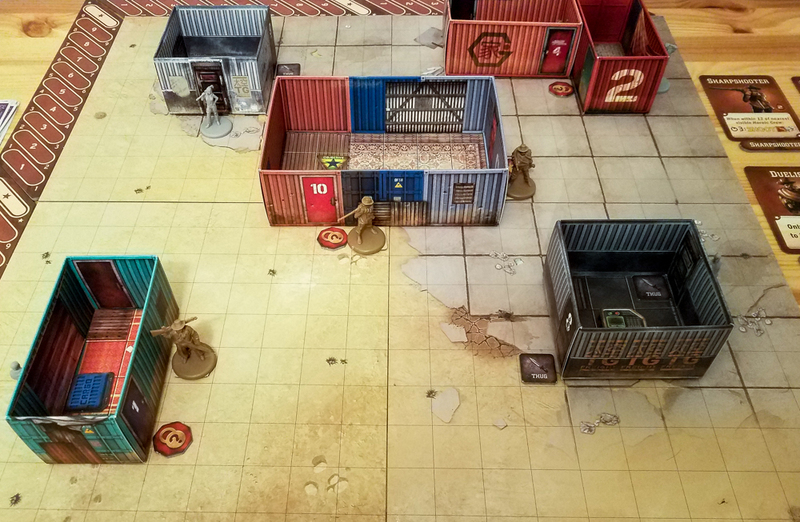 Alerted thugs will move next to their targets and brawl, and the alerted cowboys will move within six squares of their targets and shoot. In most cases what you’re trying to do is complete the job as quickly as you can without alerting too many goons. The jobs can add in additional rules for you to follow, such as staying a certain amount of spaces away from other crew members throughout the mission. If you’re able to complete the job before time runs out, you’ll get a reward and can look at the “Measures of Success” section to see how well you did. You’ll lose if you run out of time before the job is completed. I initially thought that this would not be able to capture the feel of Firefly, but it really does. Each crew member has the abilities you’d expect them to have, and it’s extremely easy to role play a bit to get even more out of the experience. Plus, the sandy Western look matches what you see in a bunch of Firefly episodes. I don’t like all of the dice rolling randomness in this game, but I do like the random events that happen when you cross the star markers on the timeline. Those events can help you get through some tough spots or they might throw some new challenges at you. Even though I’m not a big fan of the size of the buildings, I do think Firefly Adventures looks great on the table. Just seeing the buildings and miniatures gets some people very excited to play this game. Once everyone understands how Firefly Adventures works, there’s a very good pace to the game. You talk to your teammates about your plans, do one or two actions, and then it’s the next character’s turn. There’s really very little downtime. I’m a big fan of stealth games and one of the coolest parts of this game comes when you’re acting Heroic and trying to stay out of the goons’ line of sight. There are plenty of ways for players to help each other out in this game. You can heal each other, you can exchange equipment, and you can even assist each other during tests. Plus, you need to talk about your plans before taking your actions so everyone’s on the same page. If you don’t cooperate, you will lose. The buildings work extremely well as an insert. You can easily separate bags of miniatures and tokens into the different buildings and everything fits perfectly in the box. I really do think there should have been more than four jobs in the box. Each one does have a bit of replay value since different events will pop up and the tokens will require different tests, but the excitement level goes way down after that first playthrough. The rulebook says that the company will be putting more jobs online for free, but those haven’t popped up yet. Firefly Adventures is not a complicated game, but the rulebook was so poorly made that it seems like everyone gets confused by it. Some rules are missing and there are plenty of typos. If you do get the game, I recommend checking out the FAQ over at BGG. I love the look of the buildings, but they are both too big for the map tiles and they make it difficult to see what’s going on around the map. There are some unexciting turns. This is especially true in the more open board layouts since you might have to spend two turns simply moving to your next destination. I think the goons should have had their own large tiles / cards like the crew members. Each goon has unique abilities, so it’s a bit of a pain having to flip the cards back and forth to see their basic actions and their unique abilities. This isn’t a problem once you memorize the basic actions for goons, but it’s frustrating early on. Every bit of information is out there for everyone to see, so you can run into the alpha player / quarterbacking issue. Firefly Adventures: Brigands and Browncoats is not a game I’d recommend to everyone yet, but it has a lot of potential. It’s thematic, it looks great on the table, and the few jobs that are in the box are fun to play through (the first time). I hope they eventually come out with a second edition of this game with better rules, more jobs, and maybe some smaller buildings (or larger tiles). My group would probably keep playing this version of Firefly Adventures if we didn’t already have better alternatives. We’d much rather play games like V-Commandos and Black Orchestra if we want to play co-ops that allow us to act stealthy, and we’d rather play Burgle Bros. if we want to play a heist game. With all of that being said, I do think most Firefly fans will get a kick out of this game, especially if they role play it a bit. 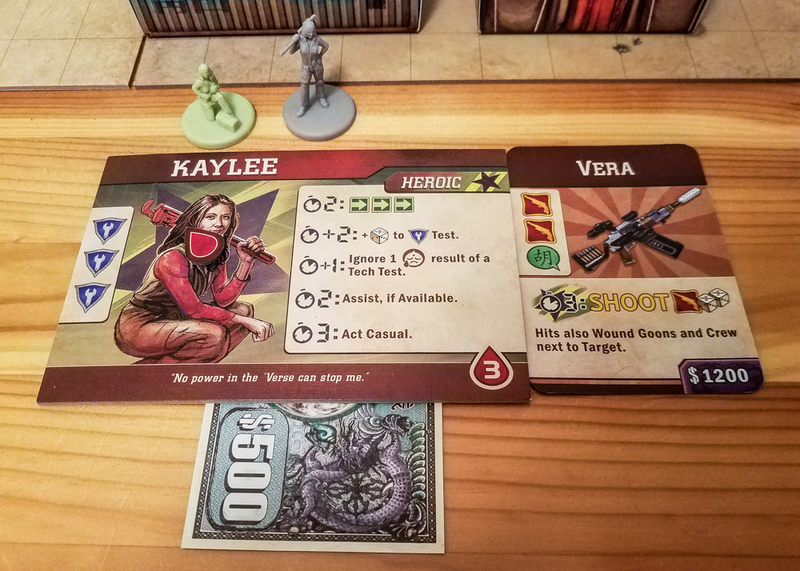 It’s possibly the best Firefly co-op game out there right now (well, this or Legendary Encounters: Firefly). I’d say try it before you buy it if you can. 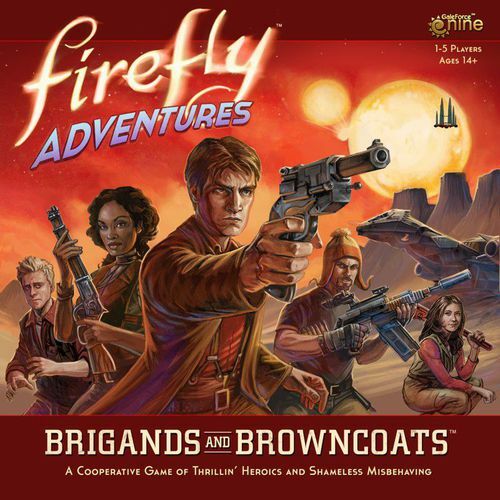 Thanks for taking the time to read our Firefly Adventures: Brigands and Browncoats review! To stay updated on all things cooperative board games, follow us on Twitter, Facebook, or via RSS.